Born: February 3, 1804 in Harwich Ma. 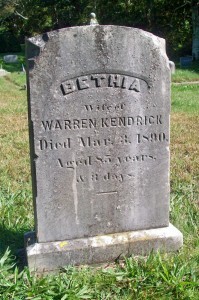 Died: March 3, 1890 in Bourne Ma. at 85 yrs, 3 d.
1. Delilah Ophelia Kendrick Wing; (October 8, 1827 – November 26,1910); Married Oliver Cromwell Wing (1826 – 1895) (William Wing & Mary (–)) in Pocasset Ma. 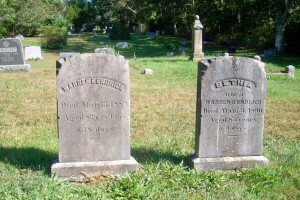 on May 29, 1850; They had 9 children; Delilah, Oliver & 2 daughters (Betsey & Lucy) are buried together in Cataumet Cemetery. 6. 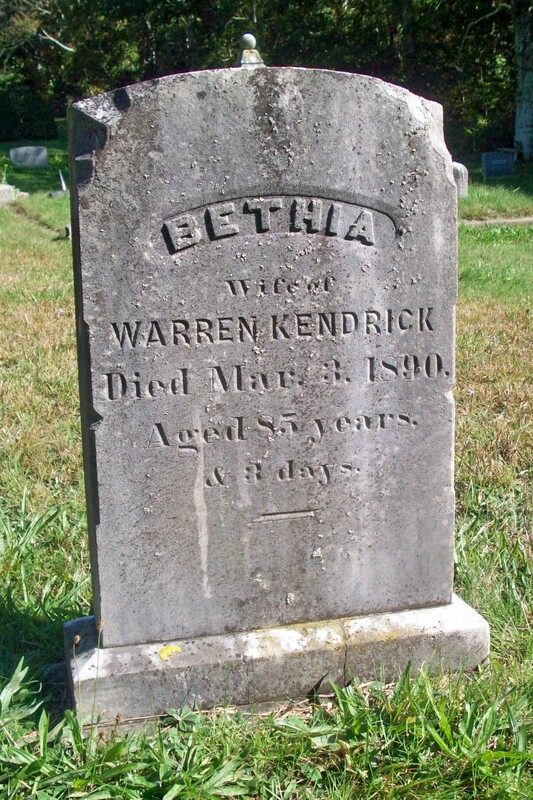 Bethia A. Kendrick Ricketson; (November 23, 1844 – November 15, 1913); Married George P. Ricketson (1838 – 1902) (Resolved Ricketson & Lydia Kelley) in New Bedford Ma. on May 11, 1859..